This philosophy features front and center in IC! BERLIN’s autumn collection. 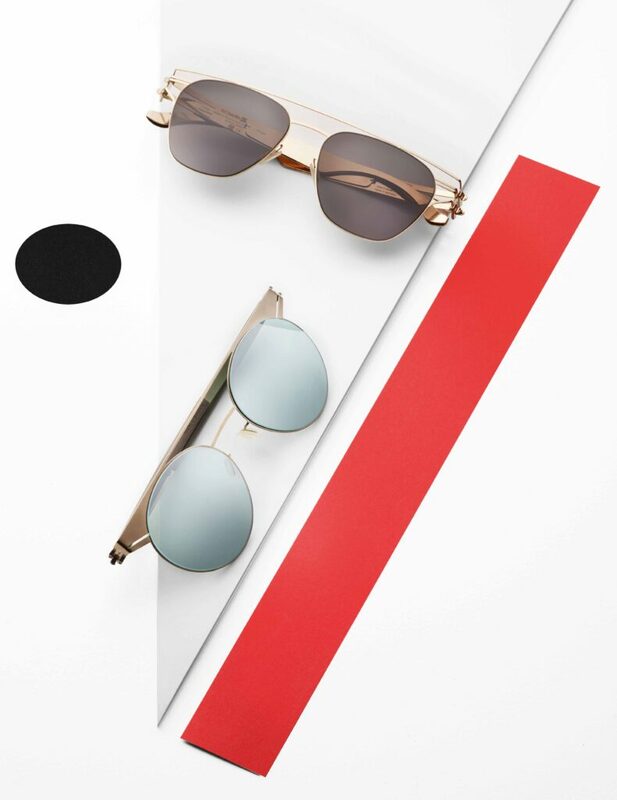 Designs exhibit clear lines, reduced to fundamental geometric outlines, thus inspiring the name Suprematist Eyewear. 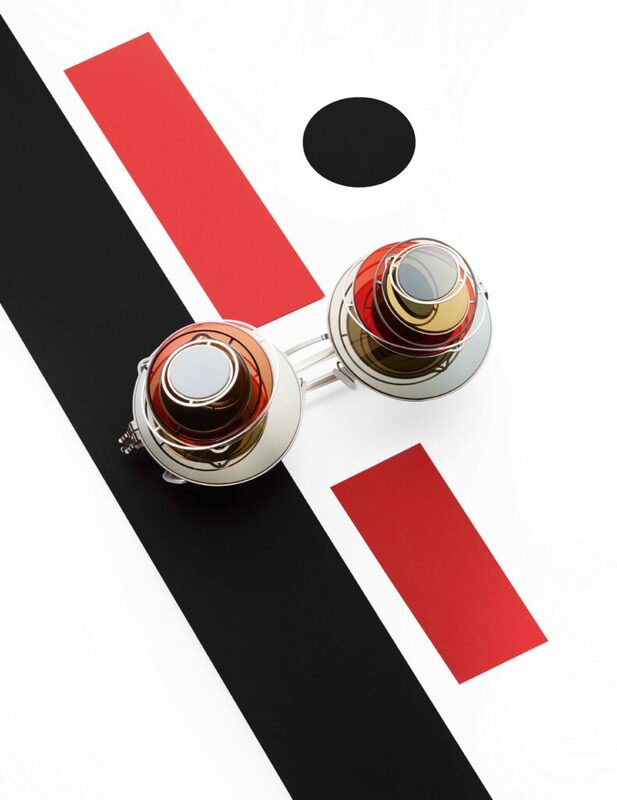 The major star in the collection – and a real head-turner at recent Fashion Week runway shows – is the »Tektonika« model that sets the overall tone for the rest of the line. The »Tektonika« blends several reflective lenses in a design that the eyewear business had previously never seen before in such shape and form, a real new philosophy. 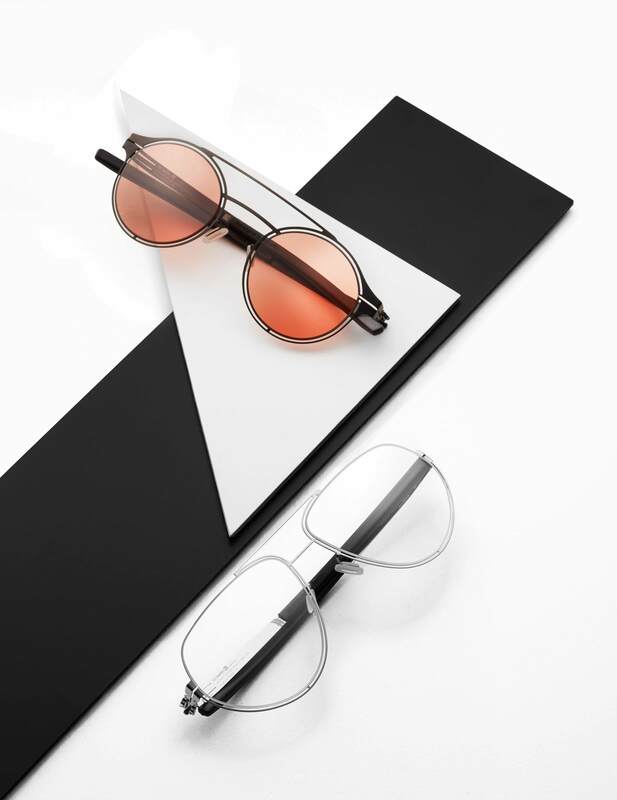 Here’s a quick disclaimer: Despite the philosophic overtones, the new frames can also be enjoyed on a purely material level for what they are. Like in this photo shoot. But anyone asking about the Berlin label’s inspirations for the Suprematist Collection may want to look into the early 20th century Russian art movement called Suprematism, best-known through the works of its founder, artist Kazimir Malevich. Suprematism relies on maximum reduction down to basic geometric shapes and colors in order to achieve visualization of the “highest” levels of human insights. IC! BERLIN takes this search for purity to the next level in their new collection. It is stripped down to no gimmicks, no bolts and screws, no dead weight. Pure, naked, raw. And beautiful.